Currently, every mobile operating system has its own application store where countless apps for a single purpose are available. This is encouraging new innovative ideas to flourish which was not possible just a decade ago. After the entrance of Android OS in the smartphone business, the basic concept of mobile usage has been totally changed. There are some productivity apps that are creatively designed in a manner that you will not need many gadgets that were essential in previous times. Every year, new apps come in existence and old ones become upgraded to provide a better experience for users. This article will inform you top 8 mobile apps that are leading in 2018. If you are looking for a mobile app that can meet your all requirements single handily then install Snaptube. This app is exclusively available for Android platform and gaining worldwide popularity due to its unique features. The feature that will amaze you most is its capability of online video streaming and saving them with different resolutions to play in offline mode. To install Snaptube on your smartphone, you need to visit its official website because it is not available at play store. 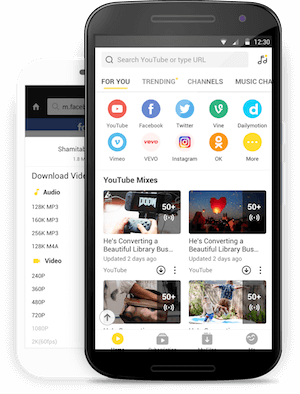 Snaptube has an interesting and user-friendly interface where you can directly type the keyword to initiate your video search from across the worldwide websites. 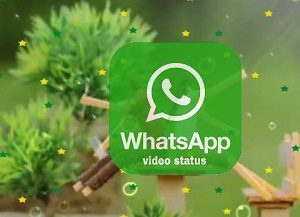 As a Smartphone user, it has become essential for everyone to install Whatsapp mobile application. 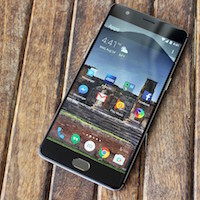 It is available for all popular Smartphone operating systems with similar features. The best thing about this app is its advertisement free policy that doesn’t allow any annoying ad to interfere while you are chatting. Currently, WhatsApp is widely used for both personal and commercial purpose. You can send text message, voice note, make a video call or audio call to all available contacts. Soon its developers are going to introduce the feature of group video conferencing for better communication. Secure data transfer with good speed is one of the biggest problems with Smartphones until the entrance of Shareit application. It is capable of sending all kinds of multimedia files and documents with an average speed of 20MB per second without losing the quality of content. It is not just meant for file transferring but you can also play audio and video files whether they are available online or offline. Currently, Shareit is available for Windows and iOS too that has made it very convenient to transfer files on cross platforms. Facebook is one of the most crowded online platforms where people of worldwide communities visit and communicate with each other. Actually, this was among the very first attempts of bringing the whole world at one virtual place. Facebook is a feature-rich platform which is accessible from both website and mobile application. You can chat with people, upload multimedia content on your profile, change status, subscribe to news channels, business pages, live video telecast and make community group in it. Facebook has 3 major apps right now which are main Facebook, Facebook Lite and messenger. Due to the increasing cyber threats in this modern world, it has become essential to have some preventive measures. Your Smartphone is vulnerable to many potential threats and unknown number call is one of them. There is an ultimate solution of unwanted number that frequently calls you. Just install truecaller on your Smartphone and leave rest of the work on it. Once it is successfully activated, the name of owner will display whenever someone calls you anonymously. 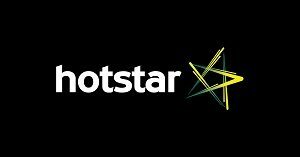 When it comes to live streaming of popular video contents, the name of Hotstar comes on top position. It is a feature-rich application that enables to watch your favourite shows, live matches and movies directly on screen. It is available in free and premium versions but the free one is enough to serve you all content in best possible resolutions according to your internet connection speed. Travelling has become a primary need for everyone on regular basis. Whether it is a short or long distance, you need transportation facilities that reach on time and provide you with enough comfort too. As a global travel agency, Uber has impacted on most of the countries across globe. It is a unique and innovative idea to connect all transporting facilities with one app. currently it is operating in major cities for transporting people with different ride options. You can choose Uber go, pool, bike, UberX and many other premium services by selecting your boarding place in available map. As being a part of corporate world or student, you will always need a platform where you can store and access all document files. Whether it is your Word file, Excel sheet or PowerPoint presentation, Google drive is the ultimate solution. You can quickly view the content, edit it and share it with anyone for contribution securely. Once a file is saved, you can also view it in offline mode.